Sirrine Studio – Why does LaStone Massage work? Why does LaStone Massage work? 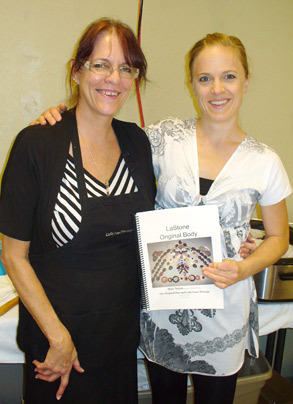 Teresa was trained from Mary Nelson, founder of LaStone Therapy. Circulation is rapidly changed within the practice of LaStone Therapy; if circulation is increased, then so to is nutrition and the way that every cell in the body responds to the experience of the alternating temperatures being applied. When using both heated and chilled stones in a massage there is an acceleration of blood, lymph, and digestive fluids within the body. When you increase the blood flow through the skin, detoxification is increased, supporting the liver, bowels, kidneys, lymphatic and circulatory systems. Isolating chilled/cool stones to an inflamed area will facilitate the removal of toxins and inflammation, encouraging a healing response deep within the body’s systems. Using cold trigger point stones in the occiptal region to help decrease any imflammation and release tight neck muscles. All of the body’s systems continue to respond for 72-hours after a LaStone treatment, during which change occurs within the body-mind-soul.